Vila Thai i Langkawi, Malaysia: Reservér nu! 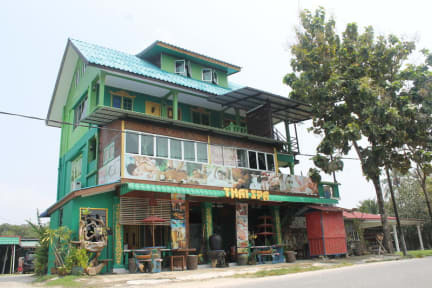 Located along Jalan Bohor Tempoyak, Vila Thai is conveniently within a 10-minute walk to the famous Pantai Cenang. Common area where you can enjoy and meet people is provided. 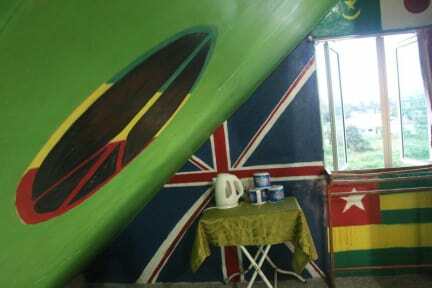 Our fan dormitory come with shared bathroom offering shower facility. Vila Thai features a spa and wellness centre, where guests can indulge in a pampering massage. Guests may also rent a car to explore the area and visit nearby attractions. For food, a tasty selection of Thai and local Halal food is served at the restaurant within a few minutes’ walk away. Vila Thai is opposite Thursday night market. There will be a lot of food stalls on that day. We are also opposite Cenang Muay Thai Gym. There is also a small road opposite our place that will easily get you to the beach within few minutes walk. Types on dormitory; 16 beds fan dorm (downstairs) & 10 beds rooftop fan dorm which our guests will be able to enjoy the view from here.